We spoke to Kati Suominen from TradeUp Capital Fund about Crowdfunding and Export finance, and how technology is allowing businesses to access finance to trade internationally. 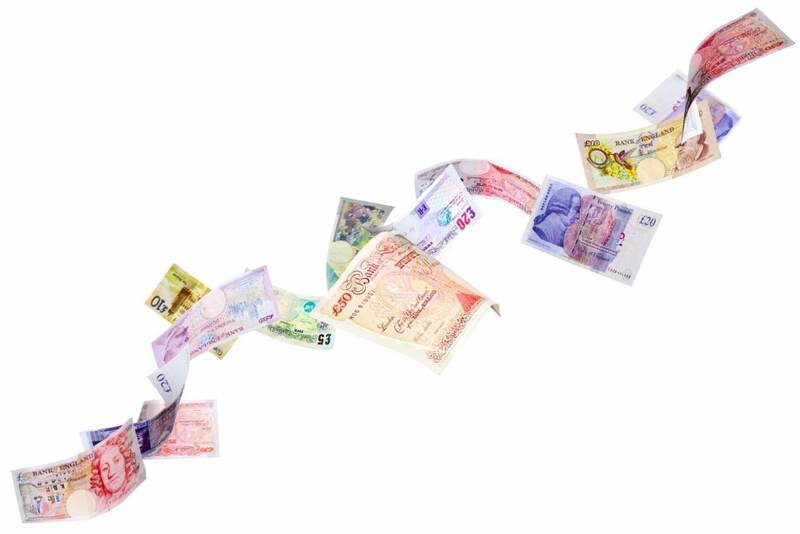 What are the main challenges/issues facing SMEs in relation to finance and funding? Exporting can be a very high-return activity – but it also takes serious investment. Exporters need capital to cover upfront costs such as creating distributor networks and meeting foreign product standards. Exporters also need to finance the costs of export transactions, such as shipping, logistics, and trade compliance. And most globalizing companies need sufficient cushion and resources to manage such risks as potential client non-payment and exchange rate instability. Yet securing adequate financing for export activity is not easy. 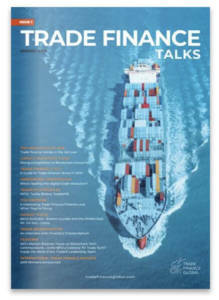 Recent surveys in Europe, United States, and the OECD region alike show that access to finance is the number 1 hurdle for small and mid-size companies to engage in trade. The toughest challenge of all is for exporters to secure long-term debt and equity financing to fuel their growth and production expansions. Most small business owners have limited bandwidth to identify investors and pound the fundraising trail, when they are at the same time stretched to bring in new clients. Due to their limited collateralizable assets, so-called “born global” companies – companies that globalize out of the gates in such sectors as IT, clean tech, and biotech – can be especially disadvantaged, despite their exceptional potential for growth. What is crowdfunding and how is it helping change businesses? This is where crowdfunding can help. Equity crowdfunding, where companies can raise several million of dollars in debt and equity financing online, is a rapidly growing industry worldwide. Some estimates put the invested amount to $10 billion in 2014. Equity crowdfunding is traditional fundraising applied online: Companies can use equity crowdfunding platforms to connect with a wide range of accredited investors and funds, who upon investing become owners or shareholders of the company, or receive interest payments on a loan to the company. How is TradeUp helping businesses? TradeUp Capital Fund (www.tradeupfund.com) is a digital finance platform for export-driven, globalizing companies. Among TradeUp’s services is an equity crowdfunding platform that helps export-driven companies to connect and transact with accredited investors (angels, superangels, VCs, PE funds, family offices, and lenders) to raise $100,000-$20m in debt or equity to fuel their growth and international sales. Based in Los Angeles, TradeUp is currently expanding to service UK and European companies as well. TradeUp primarily works with proven companies that are already in business, have at least $500,000 in revenue, and are already exporting — or have very clear plans on how to globalize. Marketing: 3-month presence on the TradeUp website, marketing materials, and newsletters reaching over 18,000 investors, lenders, and service providers in the United Sates, UK, and globally. Lists of best-fit investors: a list of 30-40 fund investors and/or lenders and a list of 50-100 angel investors that are best suited to meet the company’s needs. Access to TradeUp’s proprietary investor database composed of some 400 angels, private equity funds, and venture capital funds across the U.S. and UK. Professional 2-page data-driven executive summary on the company, with key business data summarized in a way that is meaningful for investors. Social media strategy and set-up to help the company generate publicity for its capital raise. Speaking opportunities at TradeUp’s events: connecting exporters, investors, and capital providers. Introductions to best service providers for export-driven companies, some of which are already on TradeUp’s service provider platform Mytradeteam.com. Additionally, companies can have TradeUp’s expert team to create a winning investor presentation, and perform extensive due diligence of the company – which, once complete, will give investors additional confidence in the company. It is important for companies to understand that even when they are raising capital online, they are still the ones leading their own investment. The main mistake companies on equity crowdfunding platforms make is assuming that once their raise is visible online, investors will flock to them. The reality is, the most successful companies are ones that take advantage of all services a platform provides, and proactively seek and dialogue with investors, and stage investor presentations. However, TradeUp does help companies that want to outsource some of this effort. TradeUp’s second service provides qualifying companies with a full suite of broker-dealer services, in addition to all the services listed above. Here, TradeUp and its broker-dealer partner partner North Capital Private Securities lead the company’s private placement, introducing the company’s investment materials to specific investors, leading and facilitating the dialogue and paperwork between the company and the investors. Currently, 21 companies are raising capital on TradeUp. The raises are $500,000-$10 million, and over $60 million altogether. In total, companies have raised $7.5 million. They hail across sectors, from manufacturing to food and beverage, clean tech, and financial services, from toys, to drones, and tequila. A stand-out asset offering a unique portfolio diversification strategy: leading academic research across multiple studies shows that exporters outperform the broader market in revenue, productivity, and stability. Proven companies: most companies on TradeUp are already in business and have revenues, often in the millions. All are U.S.-based. Vetted companies: we qualify companies that have experienced managers, a solid market opportunity, and a clear path forward. Every company on TradeUp has a choice to be diligenced further through Crowdcheck. To browse deals on TradeUp, investors can visit tradeupfund.com. To sign up and see company documents and interact with companies, investors can go to https://tradeup.platform.crowdvalley.com/sign-up and select as their role “investor”. At the moment, only U.S.-based investors who meet the criteria for “accredited investor” under U.S. securities laws will be able to invest. However, all investors can see and interact with companies, and TradeUp’s investment platform will soon be open also to UK-based investors.